Plantar Fasciitis is also known as fasciitis plantaris. Zapz Microwavable Custom Insoles can help alleviate the excruciating pain of Plantar Fasciitis at a fraction of the cost of custom orthotics. See the video where Steve Cohen, CEO of Masterfit Enterprises explains two ways to ease or alleviate the pain of Plantar Fasciitis here! 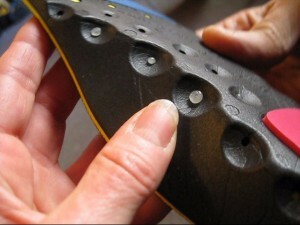 EZFit Insoles – Trace, Trim, and Drop it In! EZFit Snow – provides warmth and improves fit, comfort, support. EZFit Terra – improves fit, comfort, support and performance in all footwear, in all activities.